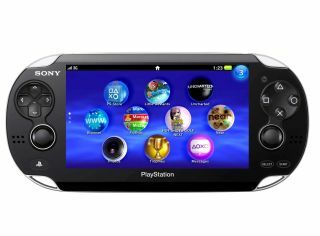 Sony has announced that Vodafone will be providing the 3G for the PS Vita in the UK. This means the 3G/Wi-Fi model of the PlayStation Vita will come complete with a Vodafone SIM card so you can get online as soon as you buy, although of course you'll have to pay for the data. There's no word on how much said data will set you back – presumably the SIM will be a pay as you go affair but Vodafone is yet to announce any details on logistics or pricing. You'll also be able to buy the handheld console direct from Vodafone, either online or in the red network's high street shops, and it'll come with a PlayStation Network voucher for a free download of WipEout 2048. Sadly what you won't be able to do is enjoy any of the goodies the PS Vita has to offer until its UK release date of 22 February. For now, all you can do is pre-order the gaming gadget, setting you back £279.99 for the 3G edition.